For most people, arthritis is a problem that only afflicts the elderly. While it’s true that the condition is more prevalent among seniors and other older folks, it’s far from the case that only they suffer from arthritis. Juvenile rheumatoid arthritis, or JRA, is a condition that affects tens of thousands of children across the country, causing pain, swelling, and stiffness of the joints. If your child is suffering from juvenile rheumatoid arthritis and you’re looking for treatment in Connecticut, Cheshire Fitness Zone offers effective, compassionate physical therapy services including aquatic therapy, soft tissue massage, occupational therapy, and more. Get in touch to make an appointment or keep reading to learn more. As with arthritis in adults, rheumatoid conditions in children manifests as inflammation and swelling of the joints, causing pain and discomfort. Depending on how many joints are affected, JRA may be referred to as pauciarticular, polyarticular, or systemic. In most cases, juvenile arthritis is the result of an autoimmune disorder, meaning the child’s immune system attacks healthy tissue instead of bacteria and viruses. The root cause of these autoimmune responses isn’t always understood, but many doctors believe it may be a combination of genetic factors and environmental triggers such as a viral infection. In other cases JRA may be idiopathic, which means an exact cause isn’t known. Particular risk factors aren’t known for JRA, although for reasons that aren’t understood it tends to affect more girls than boys. Diagnosis of JRA can be difficult, as symptoms may overlap with those of other conditions such as sports injury, Lyme disease, and others. Some tests that are helpful in diagnosing JRA include blood count tests, X-rays, MRI scans, rheumatoid antibody tests, and others. Once a diagnosis is made, a child will likely be referred to a pediatric rheumatologist or other specialist. Treatment for juvenile arthritis usually includes a combination of drugs (anti-inflammatories such as ibuprofen are common), exercise, and physical therapy. The main goals of treatment are to reduce pain and discomfort, reduce swelling, increase mobility and strength, and prevent long-term complications. If your child has juvenile arthritis and their pediatrician or pediatric rheumatologist has recommended physical therapy as part of treatment, Cheshire Fitness Zone can help. Located in Cheshire and Meriden, Cheshire Fitness Zone offers multiple therapeutic services that may be able to help children with JRA. 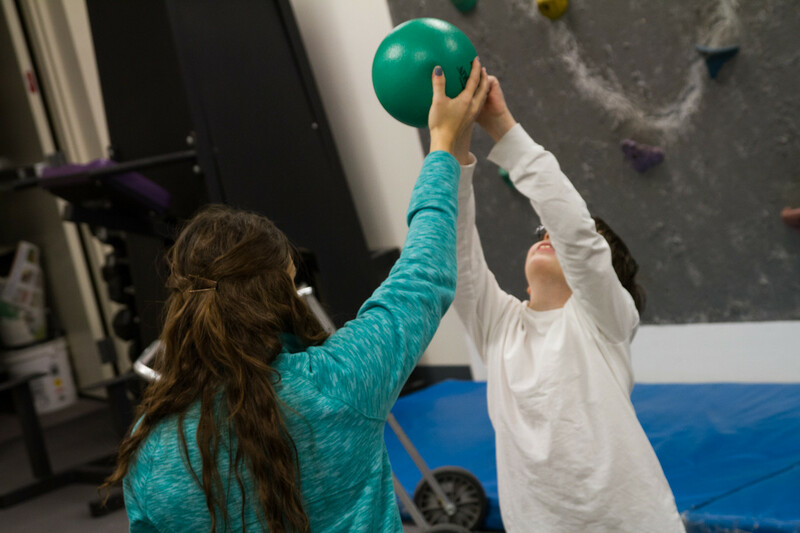 Cheshire Fitness Zone’s pediatric physical therapy services specialize in increasing strength and mobility and reducing discomfort through individualized strategies and interventions. Aquatic therapy uses water immersion to reduce the burden on joints while still allowing for a full range of motion. This makes it ideal for many children with arthritis, whose joints may not easily tolerate land-based therapy. Occupational therapy is designed to help children acquire or reacquire the skills needed to perform the activities or “occupations” of daily life. Occupational therapy is a common recommendation for children with arthritis, as the condition can affect daily tasks such as dressing or playing. To learn more about treatment for pediatric arthritis at one of Cheshire Fitness Zone’s two locations, get in touch by calling (203) 250-9663 or using this convenient online form.